Hacienda have announced a new administrative system the Suministro Inmediato de Información (SII) or “Immediate supply of information” for facilitating the reporting of tax information from invoices for certain taxpayers. Effective from 1st January 2017, the new system will enable taxpayers to supply VAT (IVA) information from issued or received invoices within a four day time period and create a draft in progress of the tax return. Obligatory only for large sized companies (invoicing over €6.01 million a year), corporate groups, and other VAT groups applying the monthly refund scheme i.e. REDEME group (totalling 80% of total VAT turnover taxable in Spain), other taxpayers can also apply the system on a voluntary basis. This system aims to improve and simplify the tax return process allowing a continuous draft and more accurate calculations of how much is due. The contributor can check how much tax they have paid and the charges or tax due. Less room for error and almost real time tax calculations improve tax auditing. 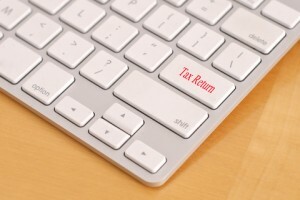 The system will also grant users an extended time frame to file their VAT returns i.e. on the 20th of the month instead of the 30th. Additionally, users can benefit from the more streamlined administration forget about the modelo 340 (libro registro), modelo 347 (operaciones con terceros) and the modelo 390 (resumen anual del IVA) as there will already be an electronic version taking the information provided continuously. Until then, if you need help with company tax or any other tax returns, please contact Spainwide on the number above or using the contact form on the left, and we’d be happy to help you. ← What do I need to declare as a TEFL teacher in Spain?